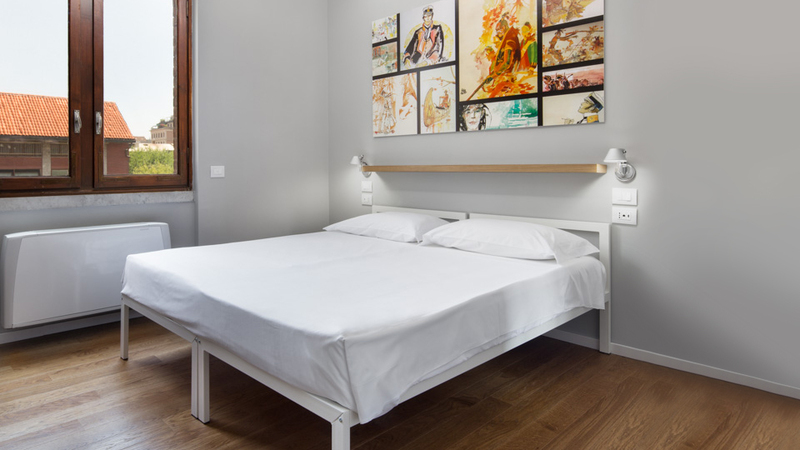 The Babila Hostel is an elegant, sophisticated and modern hostel designed for dynamic young travelers. 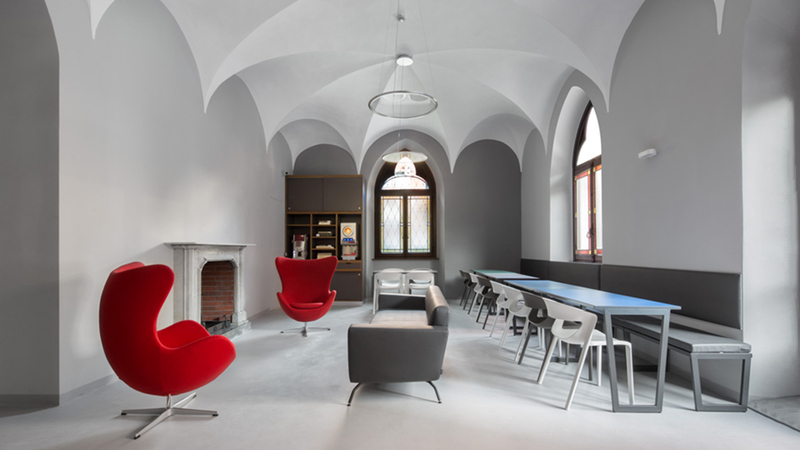 This historic brick building has been renovated with a modern, sleek and functional interior design. 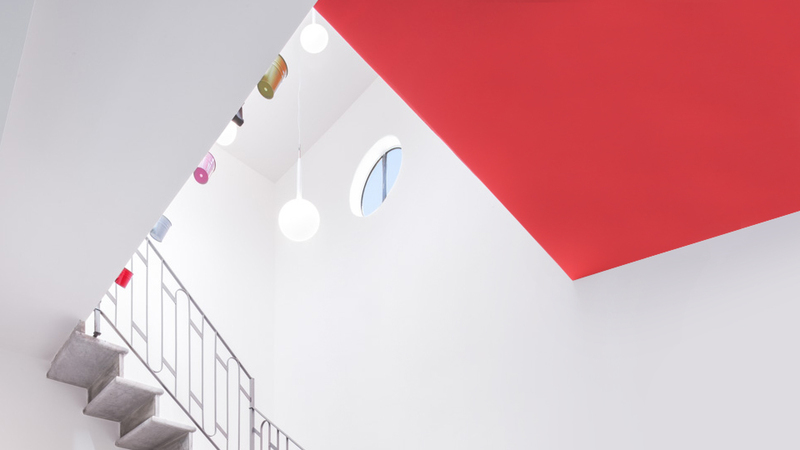 Light can regulate one’s perception of an environment. 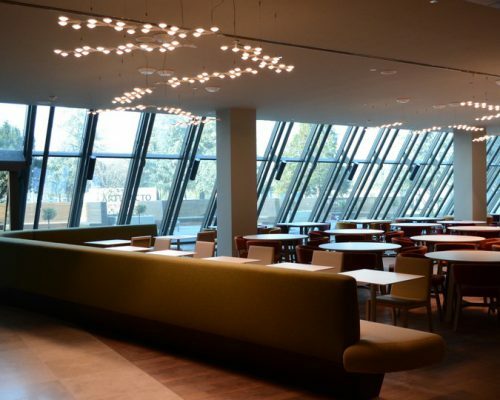 Lighting on its own has the capacity of enlarging a space. An Empirico suspension floats over the bar of the hostel. 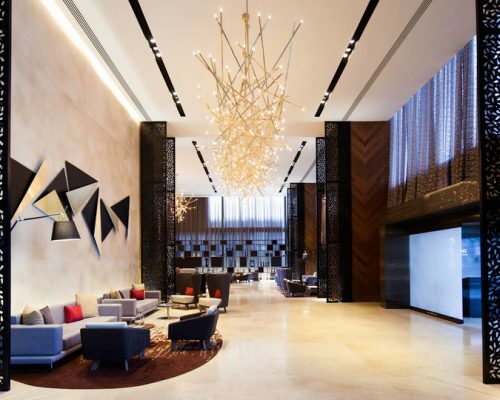 Its elongated shape follows that of the bar and brings an effect of continuation. 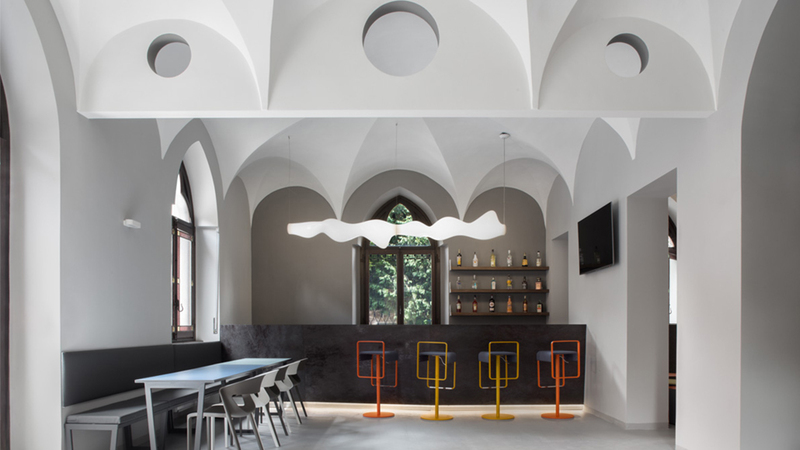 The contemporary style of Empirico, with its elegant curves, harmonize perfectly with the arched shape of the ceiling of the restaurant. 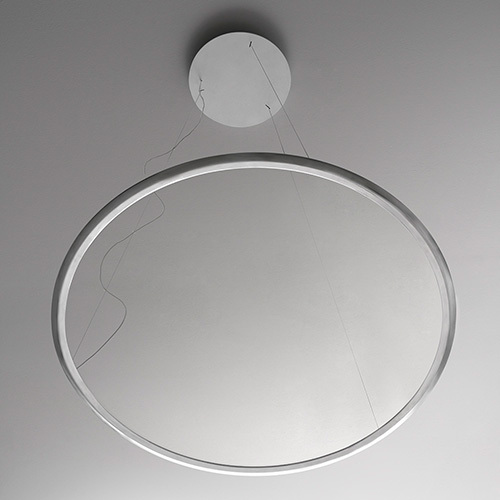 Discovery suspension is a minimalist, with a unique style derived from its circular shape and seemingly transparent interior that appears when the lamp is illuminated. 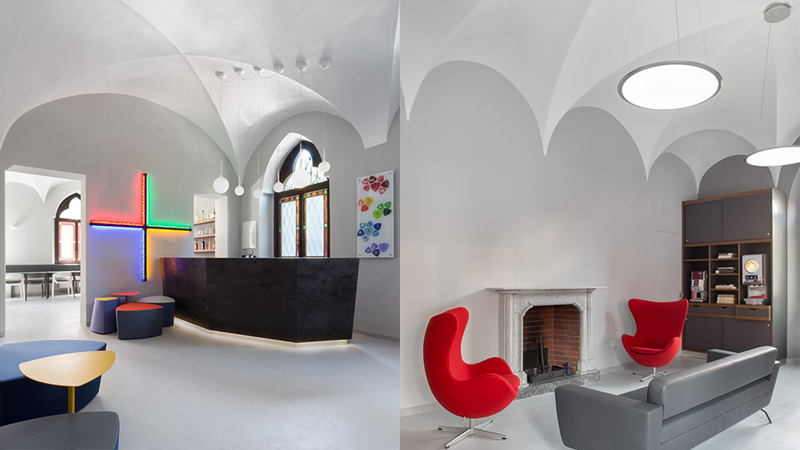 Hanging in the lounge area with its high arched ceilings, Discovery suspension diffuses a uniform light which emphasizes the relief of the ceiling. 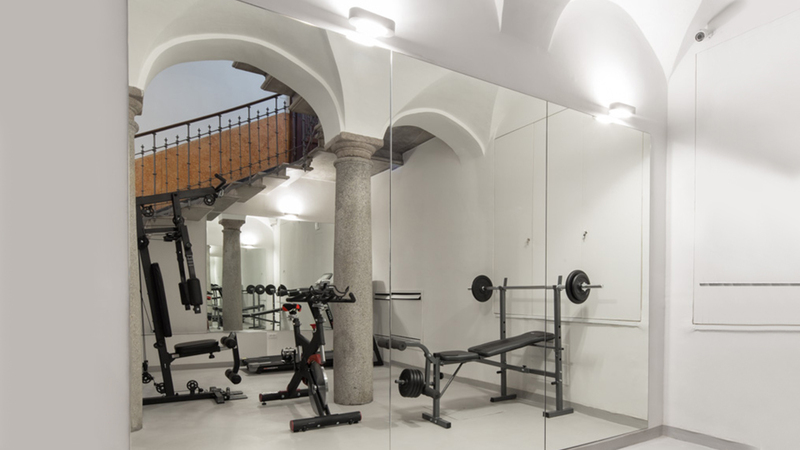 Castore lamps are versatile, because their simple design and wide range of size options offer numerous possibilities of configuration that can be integrated into several types of environments. 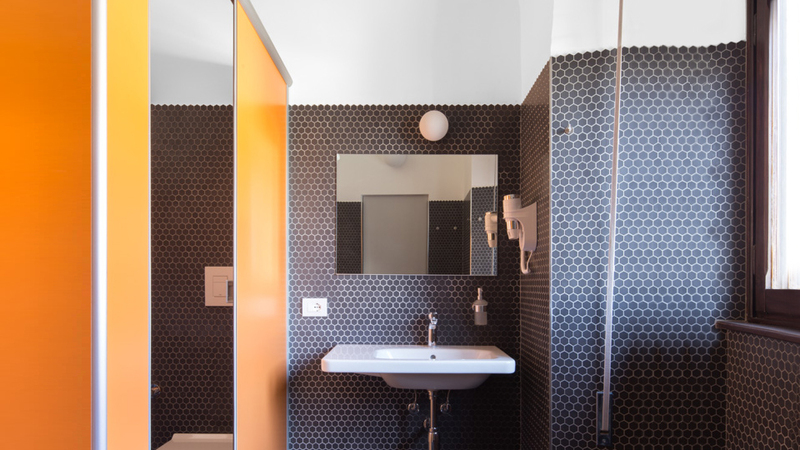 The body of the Talo mini (wall) easily matches the environment with its subtle and sleek shape. 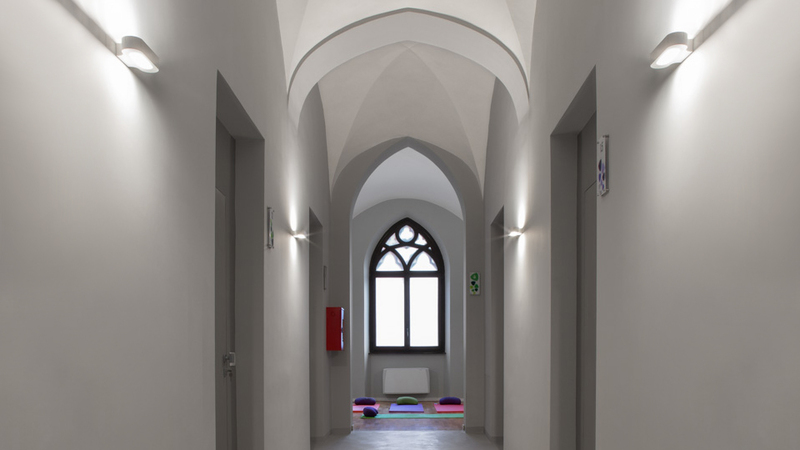 Talo elegantly diffuses light and provides a soft light throughout the corridors of the hostel that also draws attention to the arched ceilings. 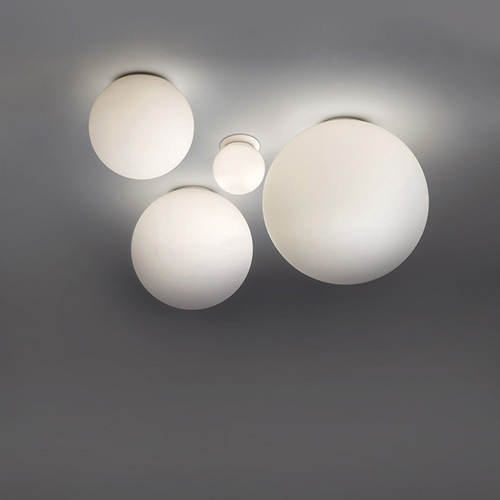 Dioscuri is a timeless fixture of minimalist design. 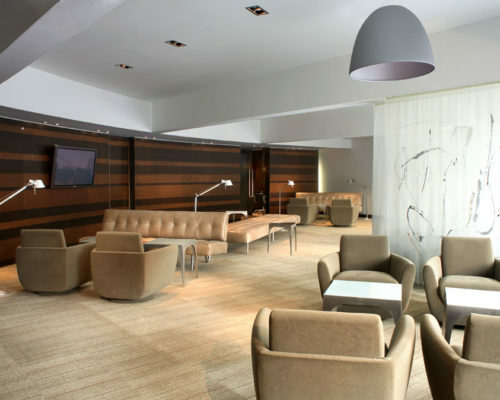 Its sleek design can be applied to several spaces and allows for the creation of a unique atmosphere. 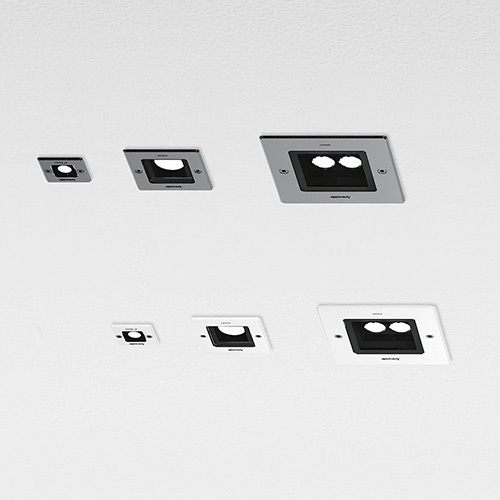 Dioscuri is available in a wide range of sizes, and fits seamlessly into any space. 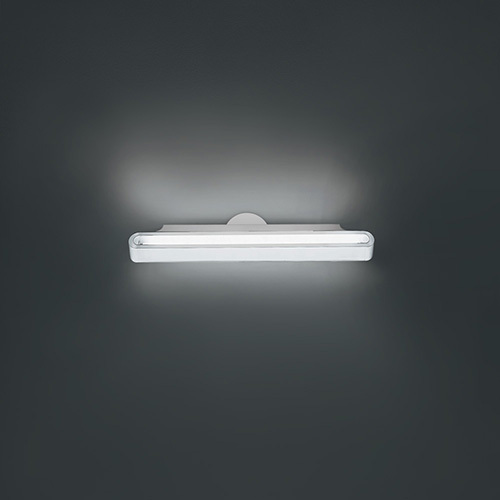 Dioscuri is seen in the hostel as a vanity light, next to the bathroom mirror. 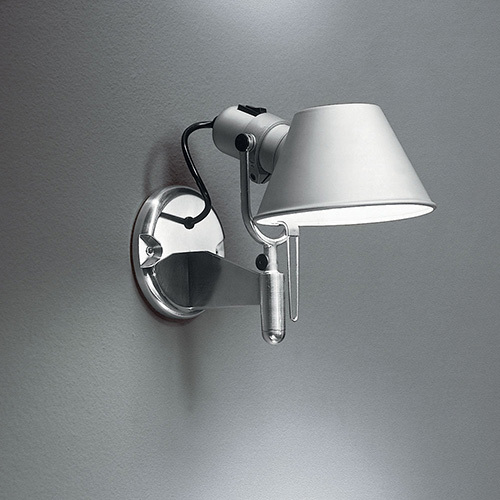 The Tolomeo Spot Wall is one of numerous variations of the classic, iconic and award-winning Tolomeo lamp. 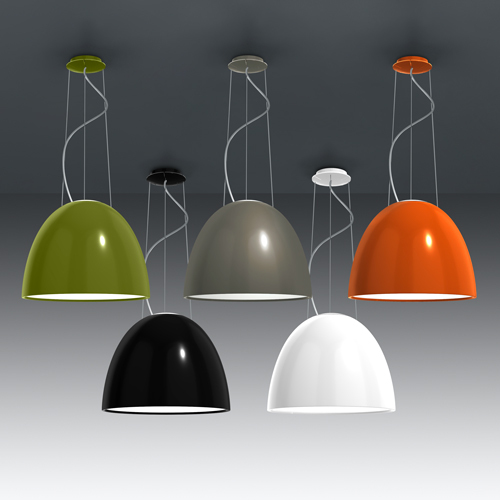 The lamp is ideal as a bedside lamp, as the diffuser can be easily adjusted to direct light according to the user’s needs. 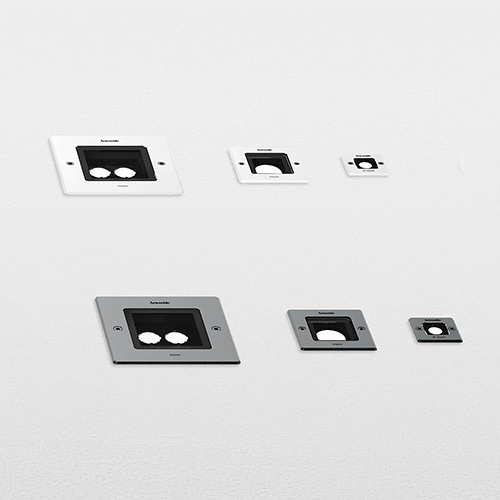 Minimalist in style, Nur Mini luminaires add volume to the room. 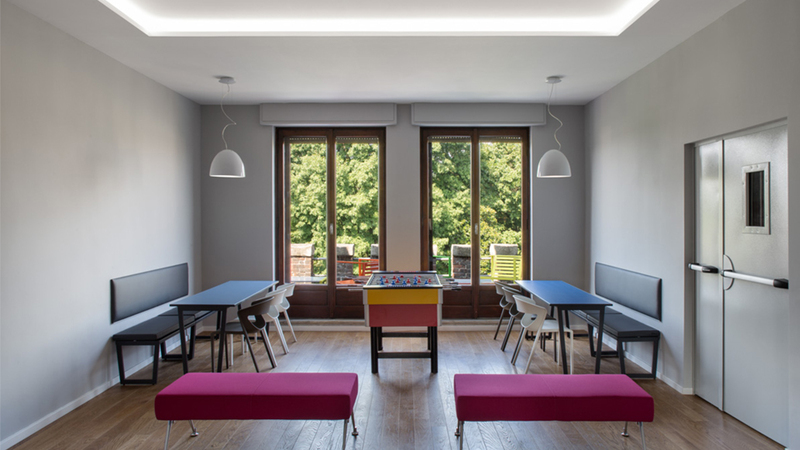 With their bold shape and minimal style, Nur suspension adds an elegant touch to the hostel’s game room. 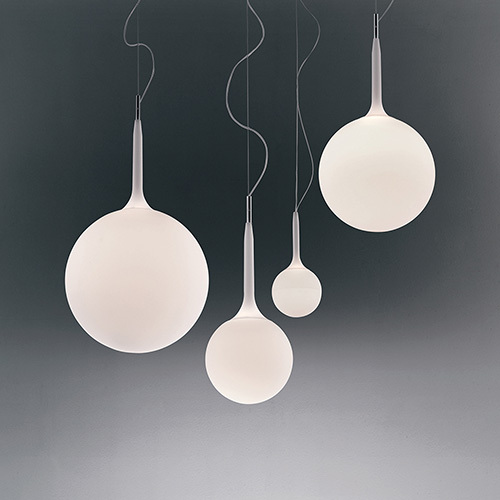 Nur dispenses a soft light, creating a relaxing atmosphere. 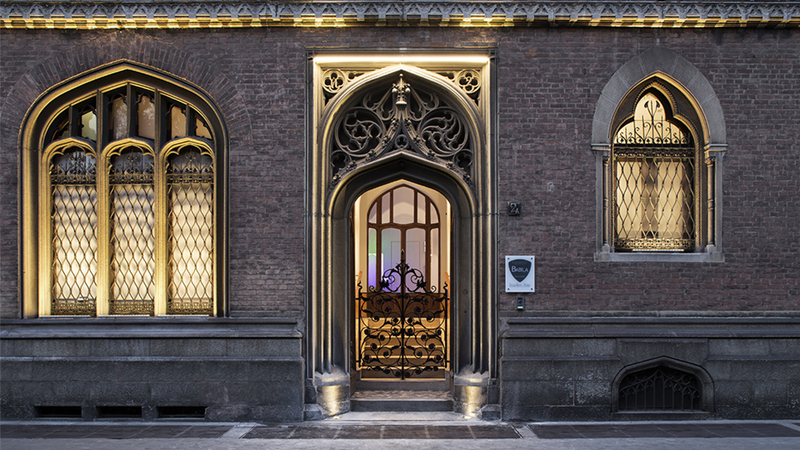 Ego recessed is ideal for outdoor lighting, as they dispense a powerful light that integrates to the environment and highlights the building’s stunning architecture.